Airtel is launching its 4G technology in Pune also. The Great news is that Airtel is giving 4G LTE modem only at Rs 4,999, and this offer is for limited time only. Airtel will launch its 4G technology till the next week in Pune. Pune will be 3rd city that will have 4G technology. This news already had been published on Airtel official site that Airtel LTE service is coming to pune. 4G Long Term Evolution radio technology or theoretical data speeds of 100 Mbps under ideal conditions is capable of carrying data. At the beginning of this year, Airtel increased the service in , Kolkata and Bangalore cities to its 4G LTE. 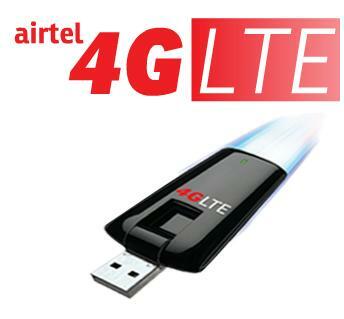 Airtel 4G LTE Multi - mode dongle is priced at Rs 7,999, while the indoor CPE WiFi with other models that are priced at Rs 7750. While Airtel has given limited time offer to buy one of these devices only at Rs 4999. Airtel Long Term Evolution 4G LTE Networks Time - Division Duple sing (LTE TDD) will be operate on 2300MHZ of the radio frequency spectrum, and smart phone or tablet to t and is not directly available.